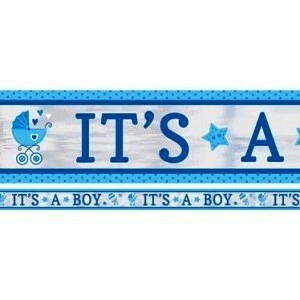 It's a Boy Carriage Banner is ideal for use at a baby boy themed baby shower or on the birth of a baby boy. It has a silver background and is beautifully decorated with pastel blue carriages and stars. It has the words 'It's a Boy' on the front and back of the banner.